I’ve been trying a lot of different tobaccos, but hadn’t experienced a well aged one. I’m a rookie pipe smoker, but many of my cigars are 10-20 years old so I know how much difference that can make. 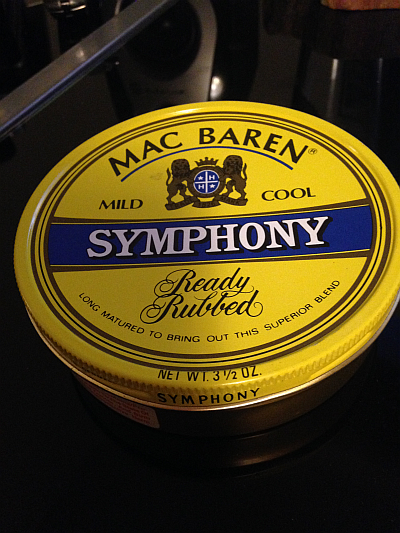 So, I picked up a couple tins of 1970s MacBaren Symphony from Pipestud’s consignment this week. I popped one open and the odor of clover honey wafted out like I’d just opened a jar. As I smoked, the honey flavor was prevalent with just a hint of sweetness. The smoke was wonderfully smooth and creamy. Time has softened any rough edges and left a subtle and well rounded impression. My new favorite, and I will be searching out more aged tobaccos soon. Glad you are enjoying your purchase, ormazd, and thank you for the business! I smoked some 1970s Symphony a couple years back, and it was really good. I have a stack of Symphony from about 2000. I just need an excuse to crack one open. Mmmmm. Good to know. I think I have a tin from the early 90s. Never had the blend before so this is good news.